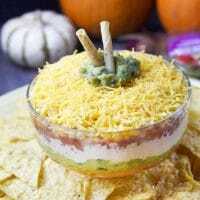 Thanks to GOODFOODS for sponsoring this Fiesta Pumpkin Layer Dip post. The content and opinions expressed here are my own. Thanksgiving in our family always includes the usuals like turkey, side dishes and pies. We also like to include other dishes that might not regularly be associated with Thanksgiving, but taste so amazing that we have to include them. 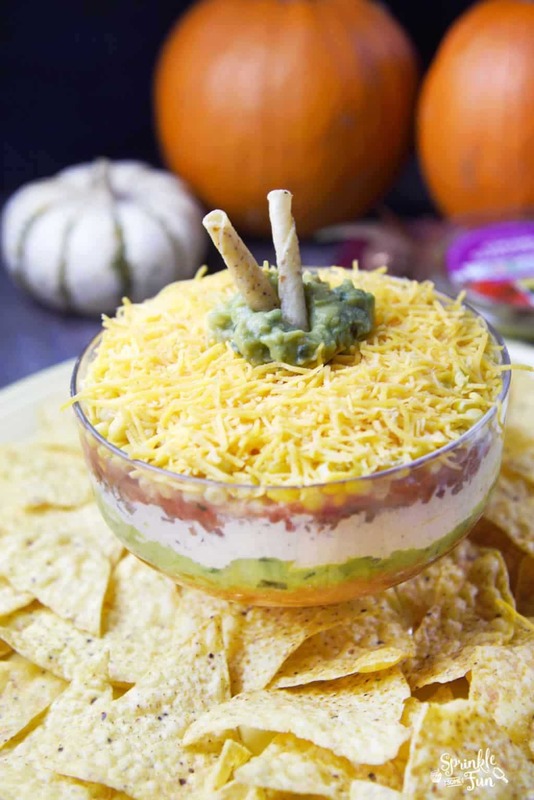 This Fiesta Pumpkin Layer Dip is one of those dishes. I added some pumpkin puree to a more traditional layer dip and it turned out amazing! I love this recipe so much that I will probably just make it with pumpkin every time from now on. 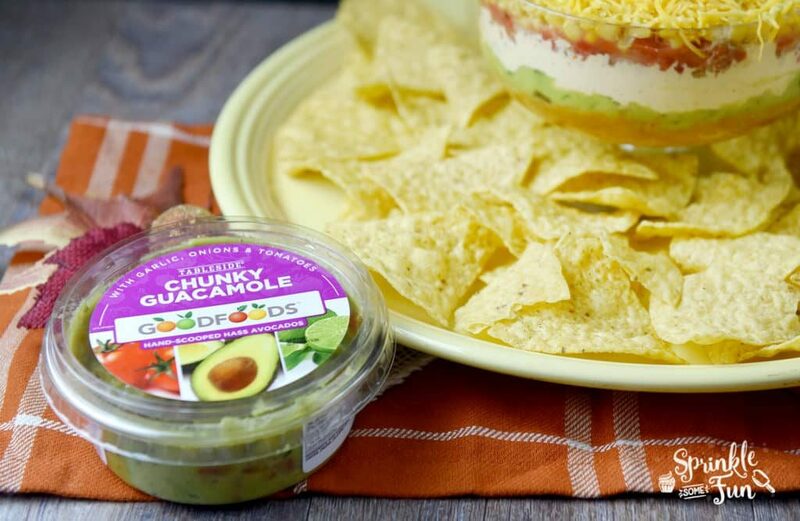 This dip is so easy to make with some pre-made ingredients like the GOODFOODS Tableside ® Chunky Guacamole. We love this guacamole so much and it’s so fresh. 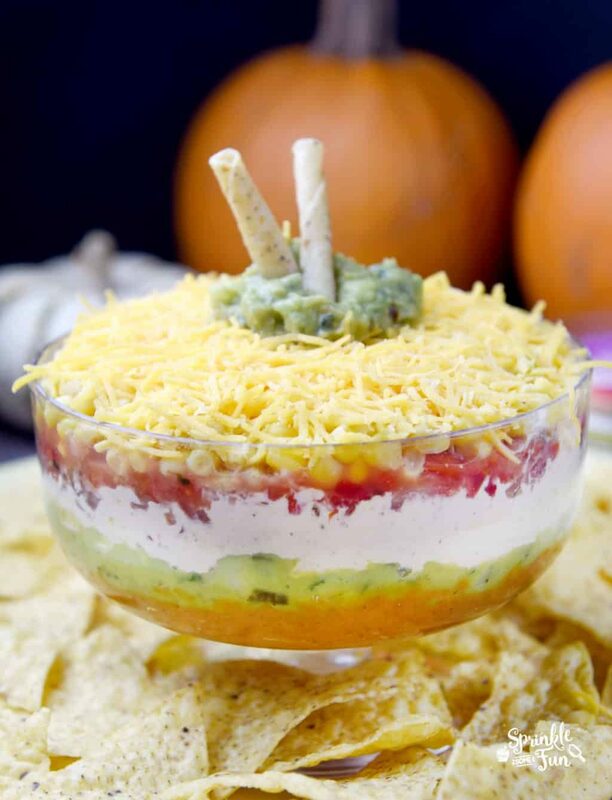 It’s perfect with this Fiesta Pumpkin Layer Dip. 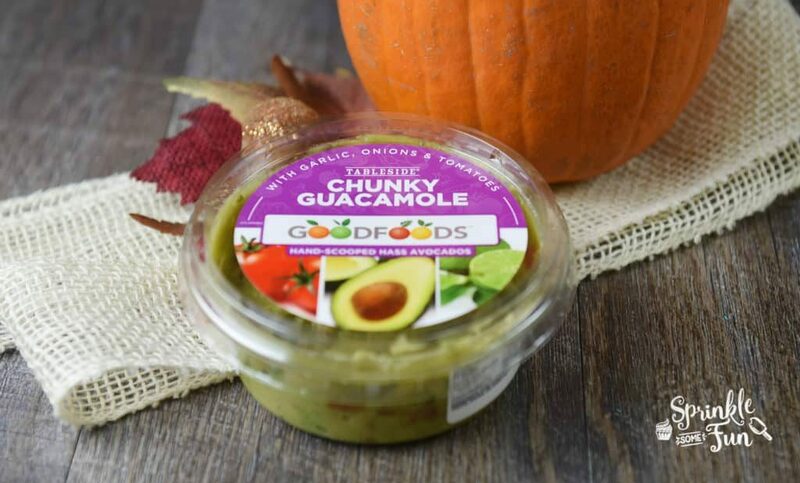 I found the GOODFOODS Tableside ® Chunky Guacamole at a Sprouts close to my area. They are available at several retailers which you can find here. We love all the varieties and it’s fun to buy one of each for a party spread. GOODFOODS combines high nutrition with a quality taste. 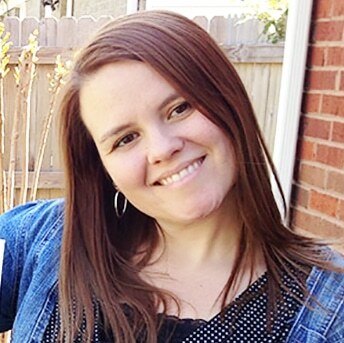 It tastes as good as if I had made it myself and I so I love using it at our get togethers. We loved the taste of this Fiesta Pumpkin Layer Dip and with the addition of pumpkin it made it even tastier. One layer is a pumpkin chili sour cream and the bean dip layer has added pumpkin too. For the pumpkin bean dip layer you'll need a blender or food processor. Mix in 1/4 cup of the pumpkin puree with the beans, 1 tsp. garlic, 1/2 Tbsp. chili powder 1/2 tsp. seasoning salt and 1 tsp. cumin. Puree the ingredients together until smooth. Add this as your first layer inside a small clear bowl. Next add the GOODFOODS Tableside ® Chunky Guacamole. Next mix the sour cream, rest of pumpkin, rest of seasoning salt and the rest of the pumpkin puree together. Then add this mixture in a layer on top of the guacamole. Then add the corn as a layer. Add the pico de gallo next and lastly add the cheese... all layered on top of each other. Serve with chips and enjoy!